​Note that the following articles were written in the present tense at the time of publishing. Some of these stories have been updated according to their original content. 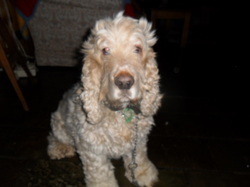 Willow was adopted by a loving home and has settled in so well thank you so much. 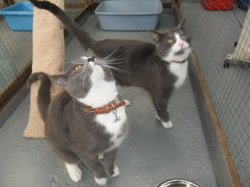 Cody and Genna were adopted together and spent many happy days in their new home and were given so much love and care, thank you for taking on two oldies who took a bit of my heart. 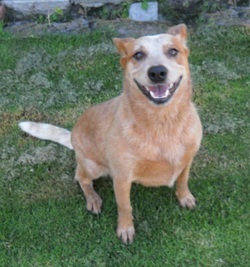 Happy was adopted by Reg who was looking for a best mate. 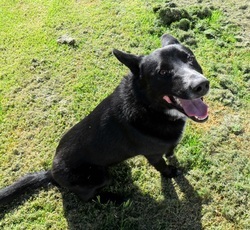 Happy was pleased with his new home and certainly proved to be a great mate to Reg. Sadly, in 2011 Reg passed away. 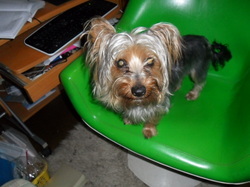 Happy is now living with Reg's grand children and is so settled in his new home. 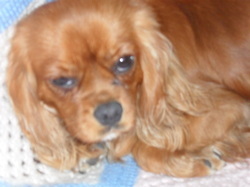 When Cocoabean was surrendered she had been used for breeding. 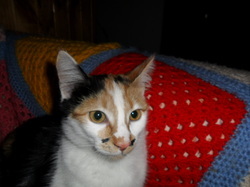 She is now so happy in her new forever home with a lovely family. 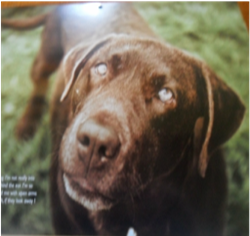 Charlie Brown was the August pin up boy on our 2012 calendar. Once a rebel, he is now so well behaved and has found the best home and loving life. he does not leave Carmen's side. In February 2012 Charlie was bitten by a snake twice on the back doorstep of his home. After five days on the drip and special care by Jenny the vet and girls at Newhaven he survived and fully recovered in April 2012. 2011: Tigger was found in a drain. He was adopted by Paul and now has a great new home. ​2011: Micky and Minnie are oh so happy living their inside together forever lives, as they were both deaf from birth, so good to find this loving home. 2010: RUBY has such a great new life with Melissa on the farm. 2010: Suzie loving life with her new pack. 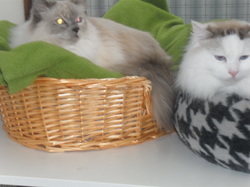 2011: GIZMO and BILLIE went to a beautiful home together. How lucky is that! ​2011: SMOKIE and BANDIT are living the good life in the city. These beautiful boys will give so much joy. 2011: SARAH is now living with Chloe and going oh so well. Be good big girl. 2011: BANJO is living the good life with Terry and gang. Thank you Terry for giving an old boy a new lease on life. 2010: ROCCO is enjoying long walks and going to work. He's such a good boy. 2011: BENSON was a Grumpy Old Man who won the heart of his new owner Brenda. The two made great companions for a couple of years. Sadly, Benson passed away in May 2013. He was given so much love. WILSON is his new owner's pride and joy. Such a perfect home for such a stunning boy. Thanks Liz and Kane. Mimi is so pleased with her new home and loving it with Karen. 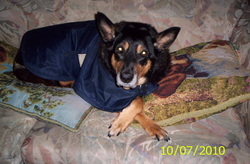 19/11/2011: Maddie loving her new life and getting ready for that trip around Australia in a motor home. What a life. Looking so much slimmer and fitter and oh so loved. 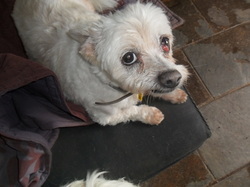 ​Little Dudley, a senior guy is now happy with Tash, after his owner passed away. Sadly little Dudley has since passed away. Thank you Tash for your love and care. Darcy was lucky to find his new forever home in a matter of days. Congratulations Chelle and Jo on your new family member. ​Rex is a lucky lad and loved so much by his new family. 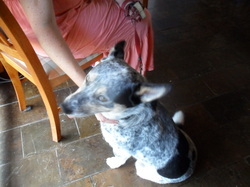 Chloe found her forever home and went to live with little Ben and family. 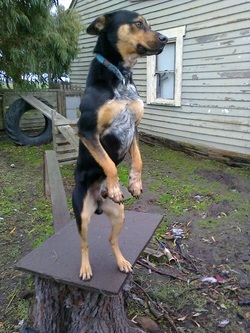 BEAU our party trick boy is so happy in his new home. 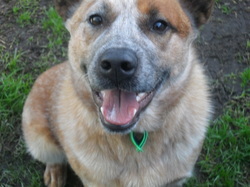 BRONSON, a 3 year old Red Heeler has gone to the best home and travels all over the place with his new owners. 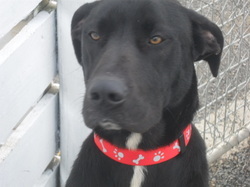 Winston, a 4-5 months old lab x staffy has found his new forever home near the beach, he is a real water baby and getting on with his new mate so well, he is so cute. 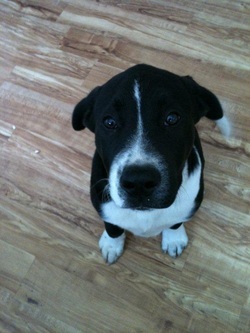 Thanks Chris and Steve for giving Winston a home. 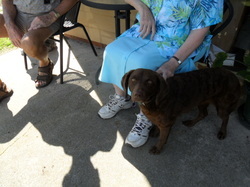 Tessie was bought as Labradoodle but the vet thought she was a Curly Retriever. 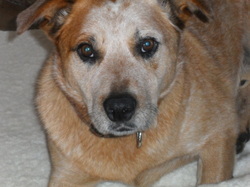 She is blossoming in her new home and has had lots of training and lots of love. The family is so happy with their little girl. Another success story we love to hear, especially when she visits our carer from time to time. It makes our work all worthwhile. What a joy. ​Mr Evil Puss has been in his forever home and rules the home which he shares with some little pugs for some years. Lexie settled into her new home like she had been there for ever. "She's definitely my girl and she never leaves my side," stated the owner. "Lexi loves feeding the horses with me and she's even better at polishing off the carrots. She adores chasing after the quad-bike and also when my husband starts up the tractor she's beside herself running after it. I've got her on a natural diet and her Lupis (collie nose) has settled down really well. She loves my other two dogs, Benjie my Multipoo and Meggie my little Maltese whose only six inches high but is the Boss! Lexie loves her toys and has a basket full of soft teddies etc. But her favourite is Monkey who gets carried everywhere. She just adores it. 2010: Sasha (female shepherd), Matty (male ginger) and Little Beav (male tabby and brother to Matty) were rehomed a few years apart. It took about three months for Sasha to realise that her newly found friends would be more useful as scatter cushions rather than 'dinner'. Sample story template. Insert name here.